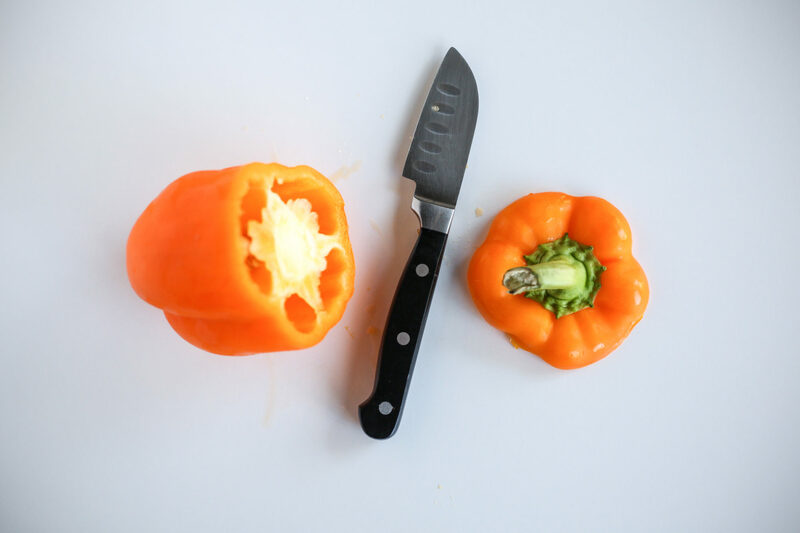 The Bell Pepper Sandwich will be your best friend when doing a Whole30 challenge or trying to eat Keto or Paleo or really…. just trying to clean up your diet and eat more real foods! 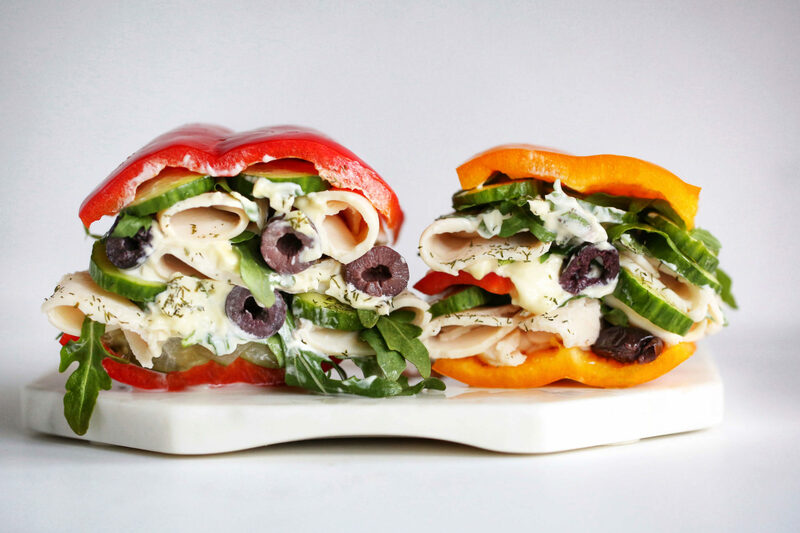 I stumbled upon the Bell Pepper Sandwich on the vintage version of Instagram some time around 2013, before the Algorithm. Kind of like Sweet Potato Toast, before it’s time in the lime light. This was shortly after completing my very first Whole30 and by golly it saved my life! Well, it’s actually still saving my life lol! 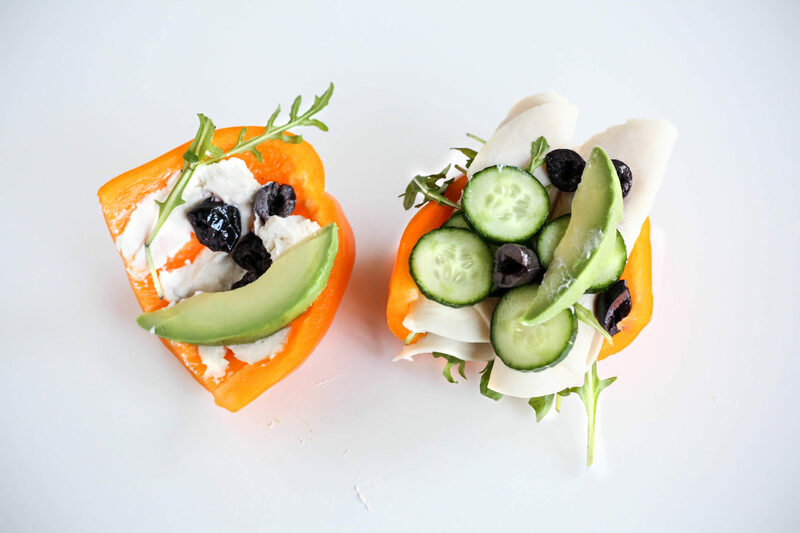 Here it is 2019 and I’m not sure the Breadless Bell Pepper Sammy will ever go out of style, kind of like a good pair of Bell bottoms ;) If you haven’t made one before, let me introduce you to how simple it really is! 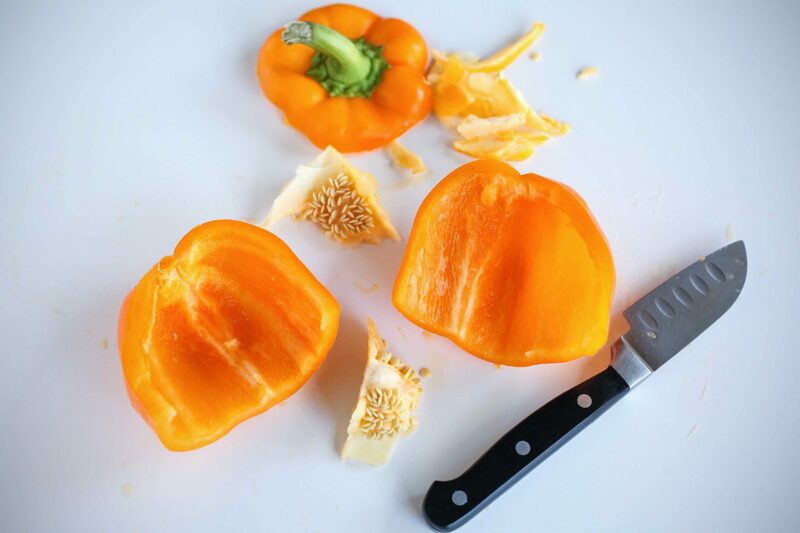 All you have to do is wash and dry a Bell Pepper, any color will do. We seem to really like the red and orange ones over at our place. Chop off the top, removing the stem. Next, slice it in half and remove all the seeds and that pithy white membrane. You can save the seeds, if you have a green thumb, and plant them so you don’t have to buy any more Bell Peps at the store! Once again, I found all of my pantry items at Vitacost! My favorite place to shop for online groceries! Vitacost truly makes living a healthier lifestyle so much simpler, not to mention, my groceries come in 2 days or less!! 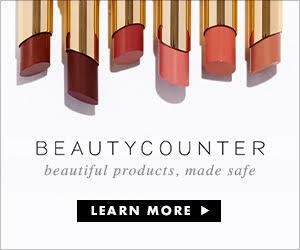 I’ve been addicted to shopping with them for almost 2 years, I think you guys know by know that I absolutely adore them! 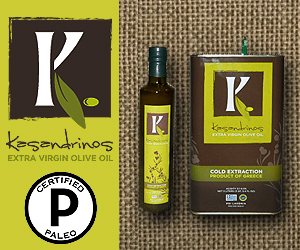 They make it easy to shop for specific diets like Gluten Free, Paleo and Vegan! Cut stem off bell pepper and discard. Slice bell pepper down the center; making two halves. Using paring knife, remove and discard pith and seeds. 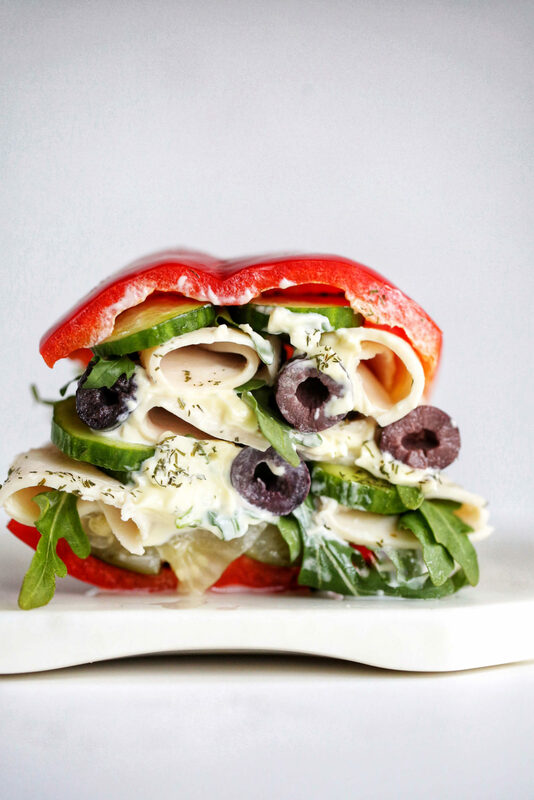 Layer one bell pepper half with all ingredients and top with the remaining half to make a sandwich. Summer is coming to an end but my love for watermelon never will! 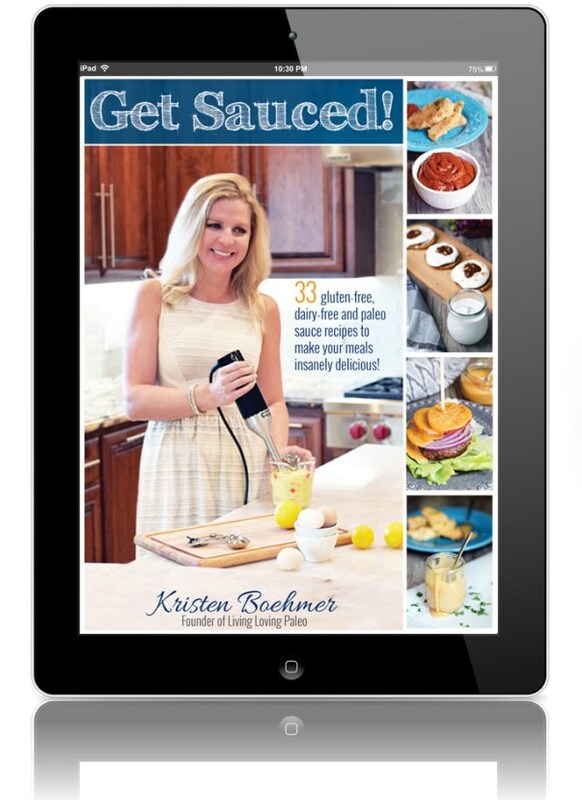 I love making recipes that put a spin on something classic, it keeps things fun and interesting! 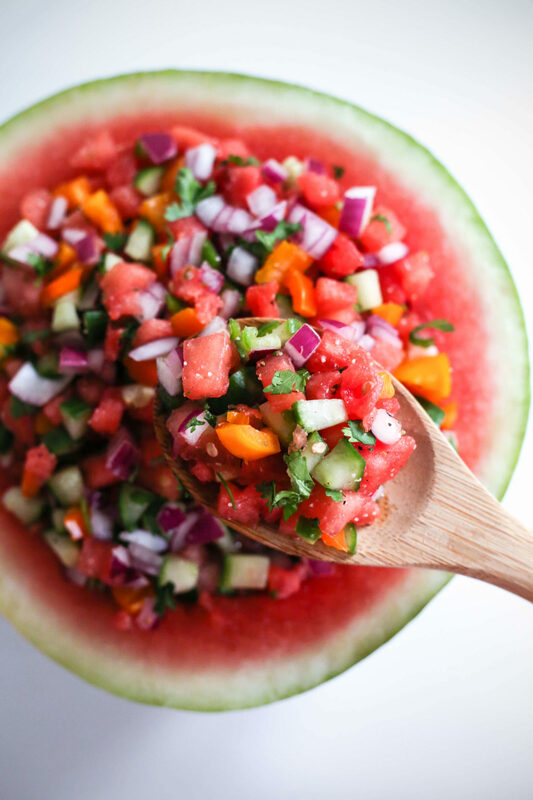 I already have all the heart emoji eyes for tomato based salsas and now I’m obsessed with this rainbow watermelon salsa! My mom’s side of the family are really good at farming/gardening and BIG on growing melons, especially watermelon! Some years we’re literally swimming in all the extra melons and I absolutely love it! It’s one of my favorites next to honey dew. It’s so good on a hot 100 degree day during the summer in Sacramento, like literally life saving! Pick up the watermelon and give the bottom of it a good thump, it should have a hollow sound to it. Also, look at the underbelly of the watermelon, it should have a creamy yellow patch where it sat on the ground, this indicates that it is ripe for the picking and you’ve scored yourself a winner! 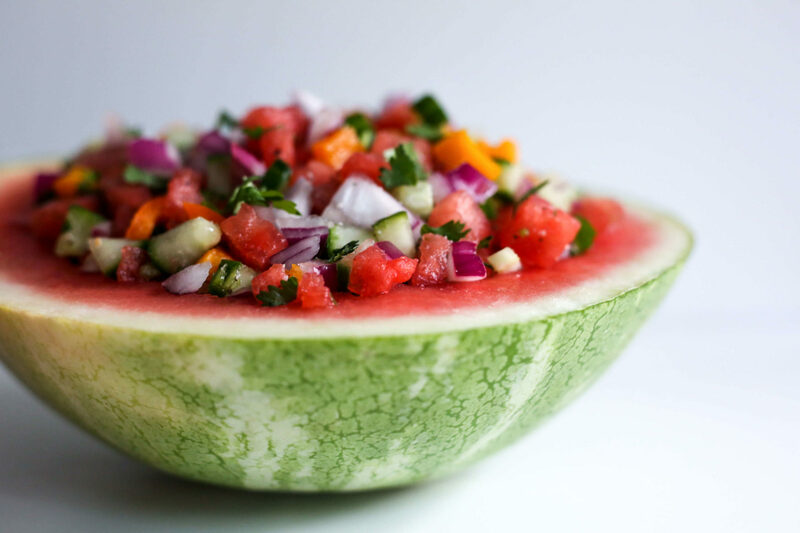 Once you’ve picked a winner cut that baby up, I suggest a serrated watermelon knife, and make you some delicious Salsa! 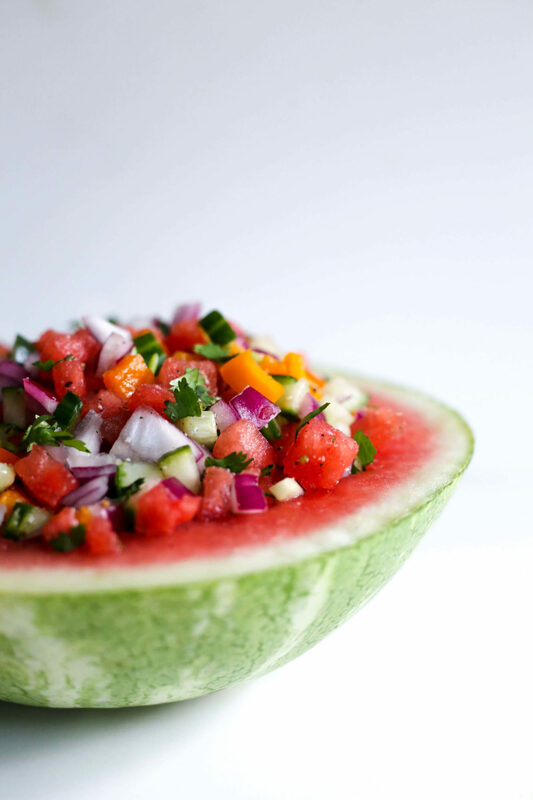 If you have extra, make an aqua fresca or this refreshing watermelon salad! I made this recipe mild but add more jalepeno or more seeds to amp up the spiciness factor! I created this recipe with my friends over at Vitacost where I picked up some plantain and Siete grain free tortilla chips to devour this with! I love shopping there to stock up on my pantry essentials! 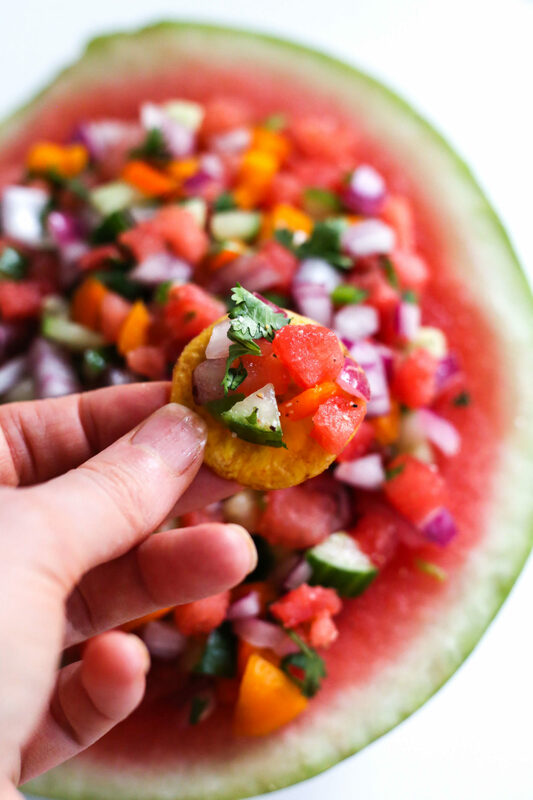 This salsa is also great served over a salad or a piece of fish for some great Whole30 options! Add all ingredients to a bowl and toss gently making sure to mix well. Refrigerate salsa until ready to eat. 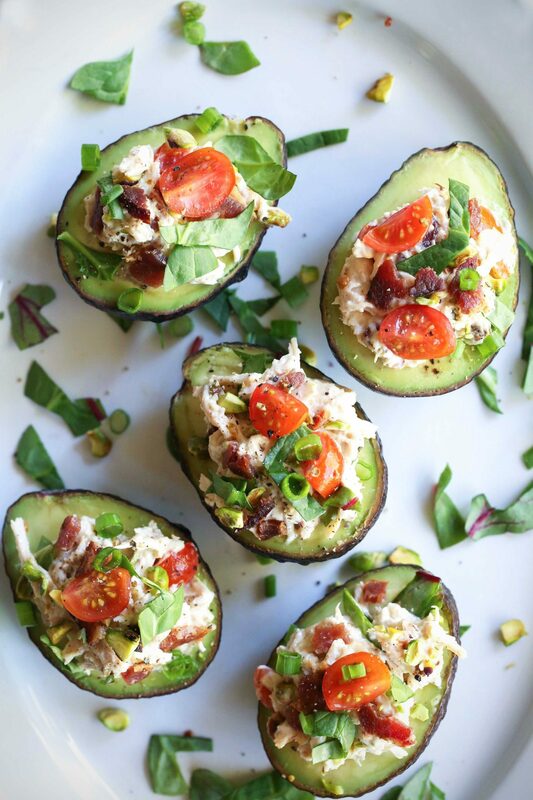 Serve with chips, over fish or on top of a salad! 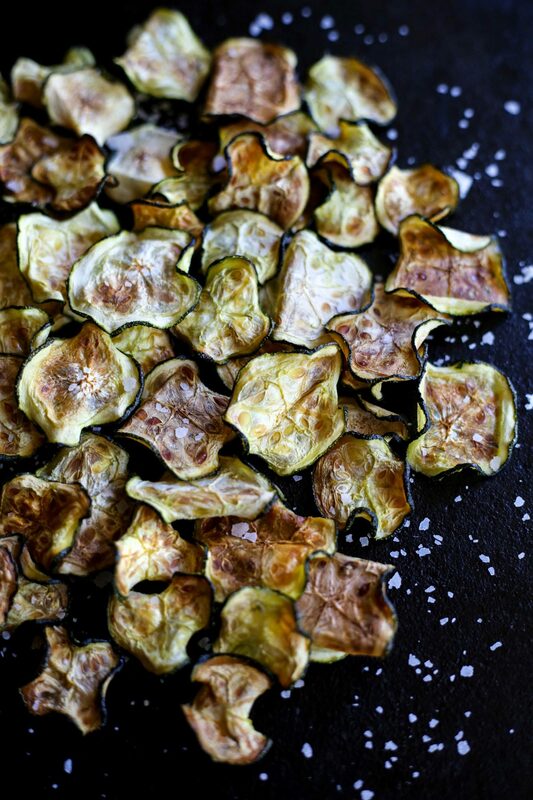 Are you looking for a new way to use up your abundance of summer zucchini?! 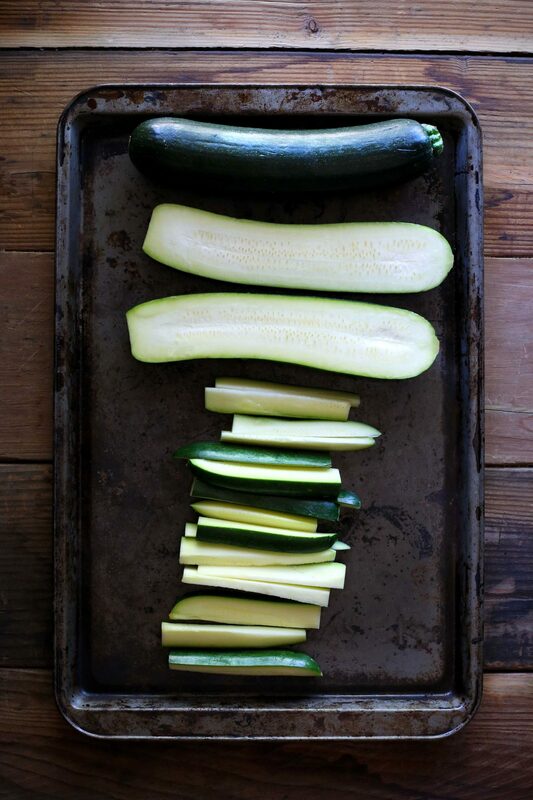 Bored of spiralizing, grilling or fritterizing (not sure this is even a word) zucchini? 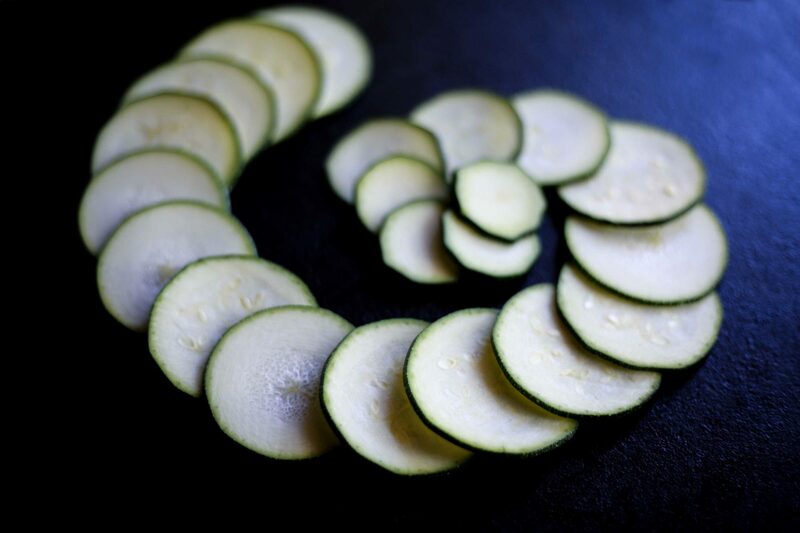 Baking thin slices of zucchini yields a flavorful and crunchy summertime snack! I love baking or dehydrating veggies and fruit this time of year, so many fun things, so little time. This easy peasy crispy snack is a perfect addition to lunches for adults or little hands, especially with Back to School going on. It feels like it keeps creeping up earlier and earlier each year, is it just me?! I have a feeling most parents are probably not too upset about this lol! The best part about making your own chips is that you don’t have to worry about questionable ingredients often found in processed, store-bought versions. Major score! Are you feeling a little more adventurous? 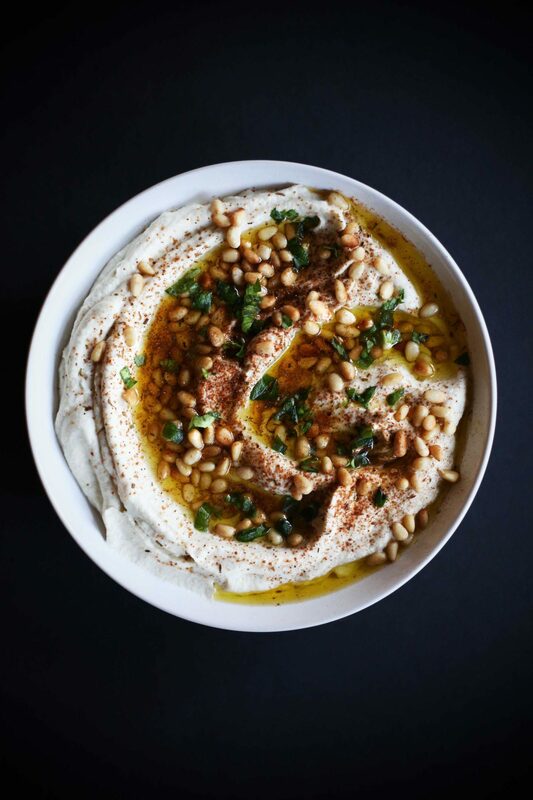 Try adding your favorite spices into the mix such as chili powder or smoked paprika and try serving them up at your next party with your favorite dip, I love Guacamole my Red Pepper Dip or Paleo Hummus. 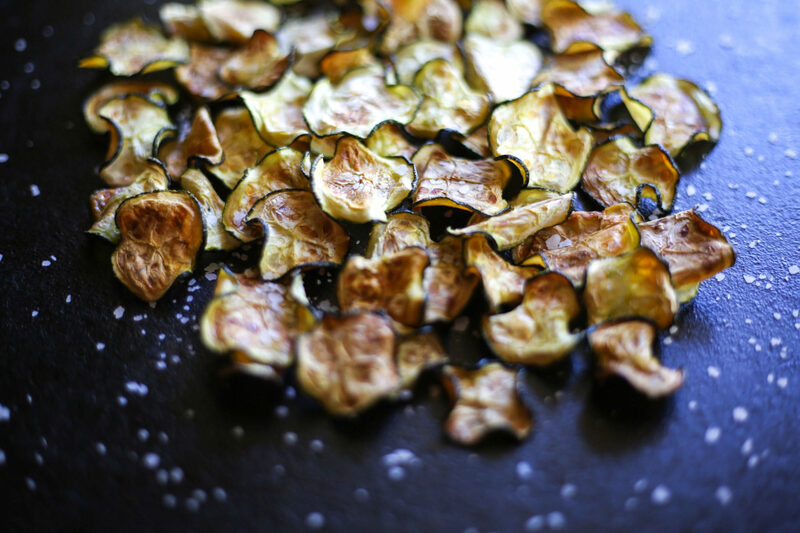 Sure you can buy zucchini chips at the store, but this way let’s you control the ingredients and is a much healthier way to get your snack on! When you cook these at a low temperature for a few hours, something magical happens! But, don’t forget to slice them thin so they can crisp up nicely & don’t crowd them on your pan, this is key! 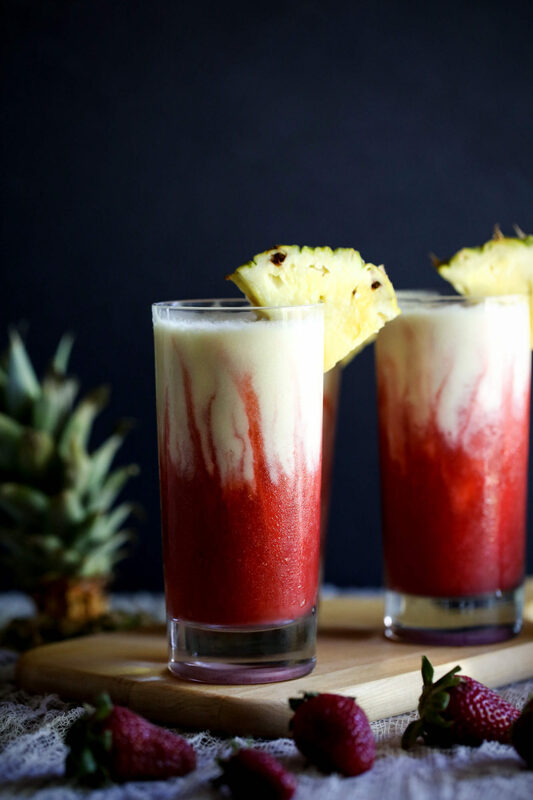 I had a blast creating this recipe with my friends over at Vitacost, head over there to SNAG THE RECIPE! The best way to keep them crispy is to give them enough space on the pan. If you crowd them too much they will just steam and you won’t achieve that crispy exterior everyone loves. Slimy limp fries are just sad and no one wants that! I like to cut mine fairly thin so they cook up faster about 1/4” thick. Baked zucchini fries were one of the very first recipes I made when I started eating Paleo. One bite and Matt and I were instantly in love! I remember thinking, if I can eat this on a Paleo diet, count me in! 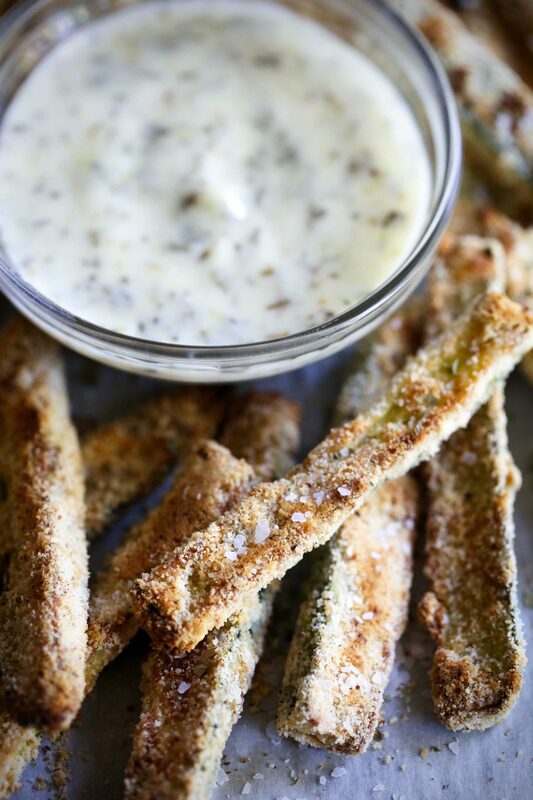 Have you had zucchini fries? And if you have, have you dipped them in a garlic basil aioli? Sweet serendipity they’re GOOD! You can use my homemade easy mayo to make the aioli or a paleo/Whole30 friendly one you like to speed up the process. Just be prepared because when you add in the basil and garlic, magic will happen! Dunk your crispy fries into them and you will want to give me a big ol hug, or you can just email me to thank me lol! Slice zucchini into even sized pieces about 1/4” thick. Grab 2 wide shallow bowls, add whisked eggs to one & then the almond flour & spices to another. Dip each squash fry into the egg wash & then dredge in the almond flour mix (use one hand for the egg & the other for the flour mix). Make sure to coat well & shake off any excess. Place fries onto parchment covered baking sheets with a nice amount of room between each one. Bake in the oven for 30 mins or until browned & crispy, making sure to flip half way between. While fries are cooking mix together all aioli ingredients and refrigerate until fries are done. 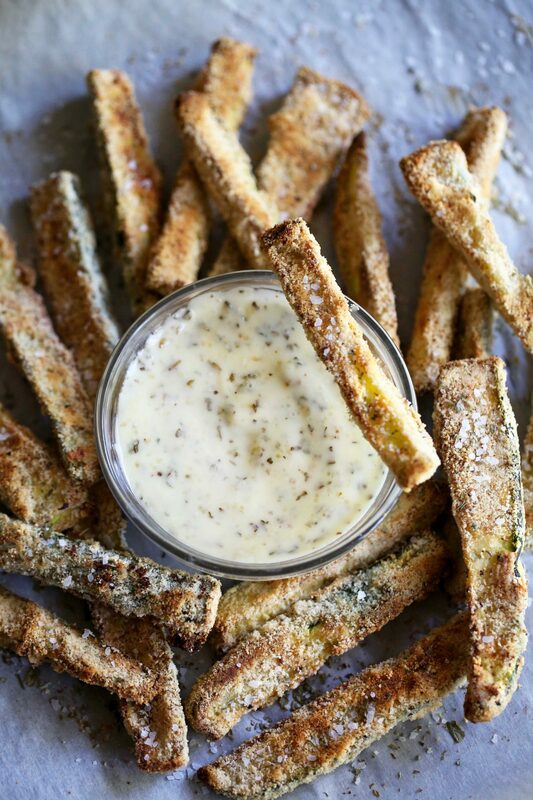 Dip baked zucchini fries into the aioli & enjoy! Wow! This recipe has been a long time coming as so many of you requested I share it after teasing you for months on my instagram stories with it! I already had my Easy Instant Pot Carnitas recipe up, but I started making it this way pretty regularly on the weekend for Matt and I to grub down on, and…well…I wanted to pass on the love! When your husband tells you that you make sweet potato fries better than any restaurant, you pay attention! Then when he asks you for your secret, you know you have to pass on the goodness! Not to mention it is whole30 friendly, praise the food gods! You can make my Easy Classic Guacamole to top it with or just use store bought, although homemade is always better IMO! I could tell you ALL the problems I had trying to take the photos, download them to my computer and then get the blog post up in time for Cinco De Mayo, but I won’t bore you with that story, lol! All I have to say is that when I run into that many problems getting a recipe up, I know that it”s going to be a good one! So with out further ado, here is the recipe sure to bring a fiesta to your weekend, whether you celebrate Cinco De Mayo or not! Make the recipe for my Easy Carnitas , shred and refrigerate, crisp up in the oven just before serving. Make the recipe for my Classic Guacamole and refrigerate for later. Make the chipotle aioli sauce by adding all ingredients to a bowl and mix together well, refrigerate for later. Slice sweet potatoes in half and then those halfs in half. Slice in to 1/4" strips and then into equal sized pieces. The smaller and more uniform you make them, the crispier and more evenly cooked they will be. 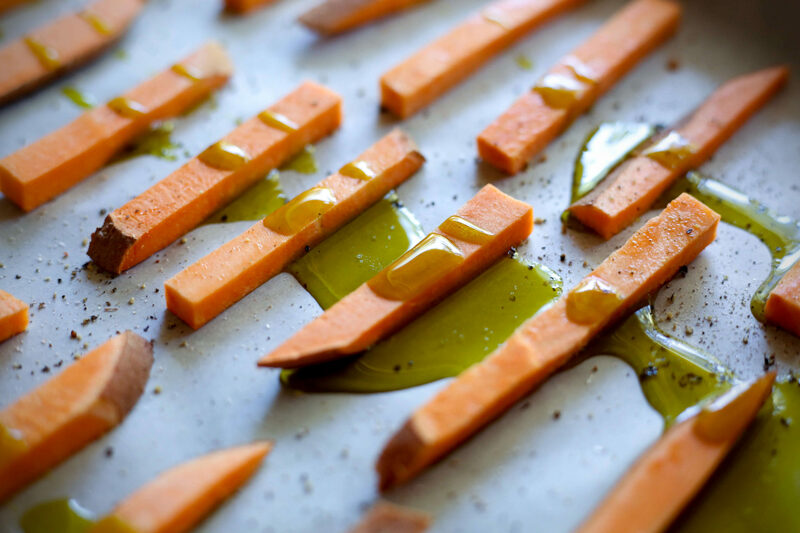 Place an equal amount of sweet potato fries on both lined baking sheet, drizzle each pan with 1 tbs oil and sprinkle with salt and pepper. Mix well with hands, and make sure to give each fry enough space to crisp up, don't crowd them. Place both baking sheets in the oven and bake for 15 mins. and then flip. Check in 5 min increments from then on until fries are browned and crispy. Should take between 20-30 mins depending on how crispy you like them. Let cool until you can safely handle them . Add to serving plates, top with the crispy carnitas, guacamole and chipotle aioli sauce. Garnish with any other toppings you love and enjoy! 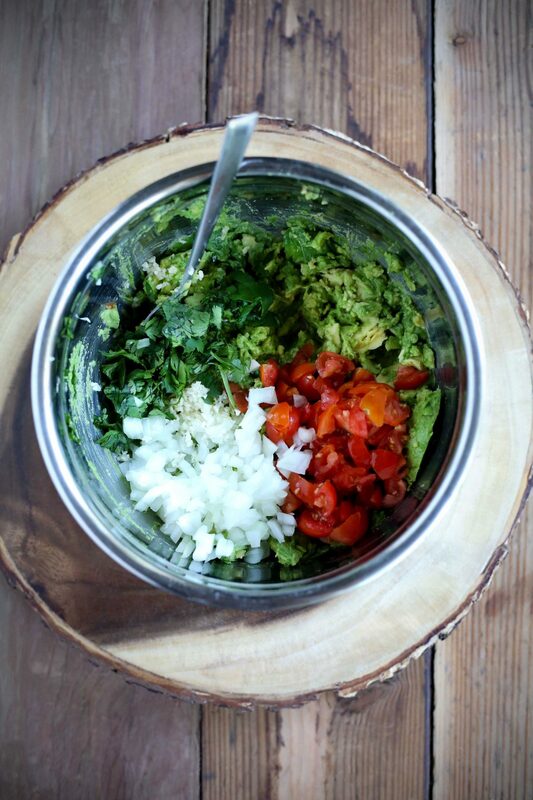 Easy peasy guacamole for any day of the week! Because what is life without Guacamole?! As a native Californian if you don’t know how to make guacamole, people give you the stink eye, lol! This is such a great dip for grain free chips or veggies. 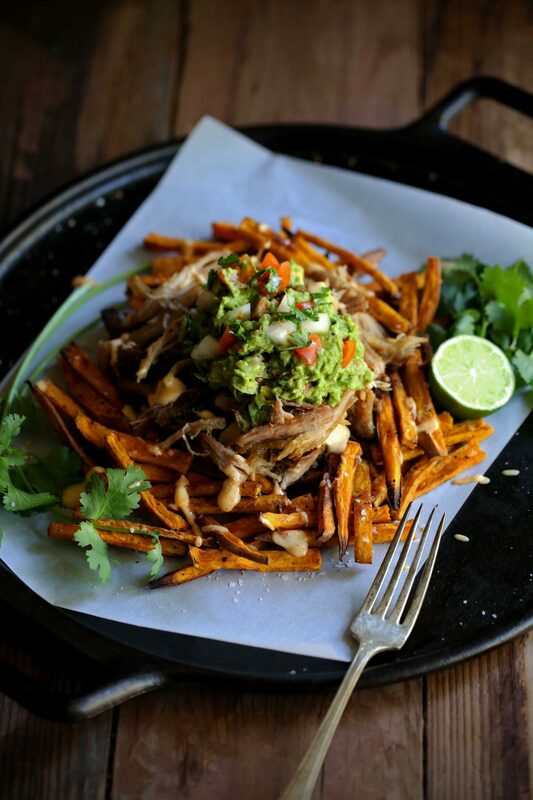 I love to add to my Jicama Street Tacos or top on my Carnitas Fries for some extra goodness! 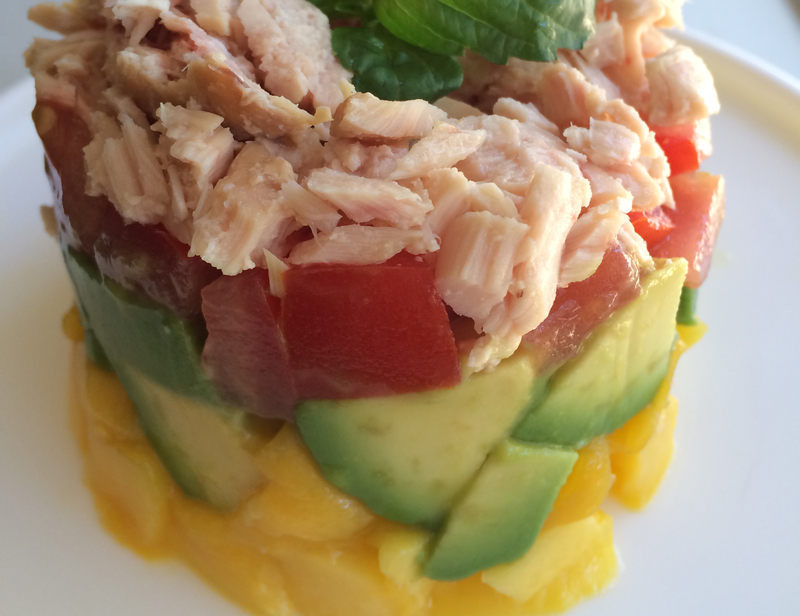 This recipe is paleo and Whole30 Friendly too! 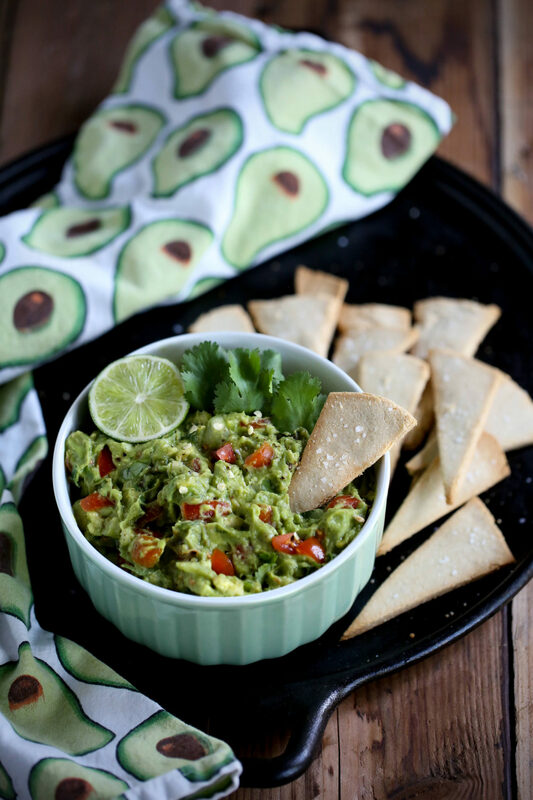 You basically just add the magical mixture of some pretty simple to find items and you will be in guacamole heaven! It’s easy peasy limey squeezy! Scoop avocado flesh into a large bowl. Squeeze lime juice on top along with salt, pepper & cumin. Use a fork to mash avocados to the consistency of your liking. Stir in tomatoes, onion, cilantro, jalapeño & garlic. Serve with chips, veggies or along with your favorite meal! 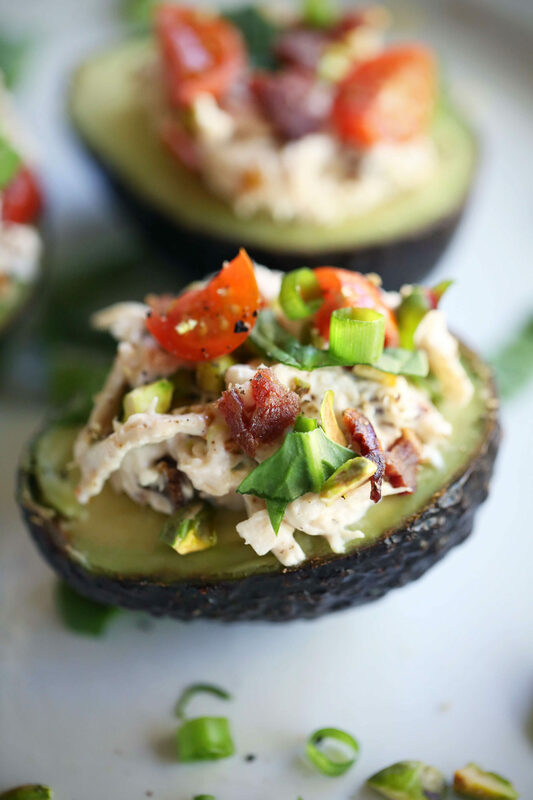 Fellow foodie meet your new bestie, Whole30 Chicken Salad BLT Avocado Cups! The easiest, most tasty, healthy meal evahhh!! Use a ready made compliant rotisserie chicken from your supermarket and all your wildest dreams will come true (name that movie) I know, I know, cheesy but kind of true! If you’ve ever done a Whole30 you know that easy meals can really save your life! And this one is waving at you, it’s destiny! 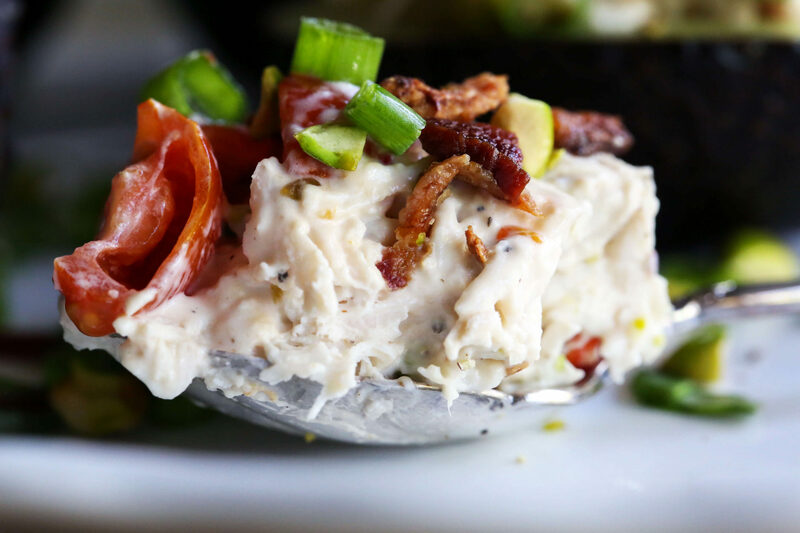 I also used Primal Kitchen Mayo to make this even more of a breeze, but you can always use my Easy Whole30 Mayo too! This one is great for those who want something uber delicious but also simple to assemble for any meal of the day! Pre-cook the bacon ahead of time in the oven and you will thank me! Oven bacon is the bees knees, trust mean this one! I added in roasted pistachios which aren’t traditionally in a BLT but they add a great crunch factor and just up the flavor profile, making your taste buds happy campers! 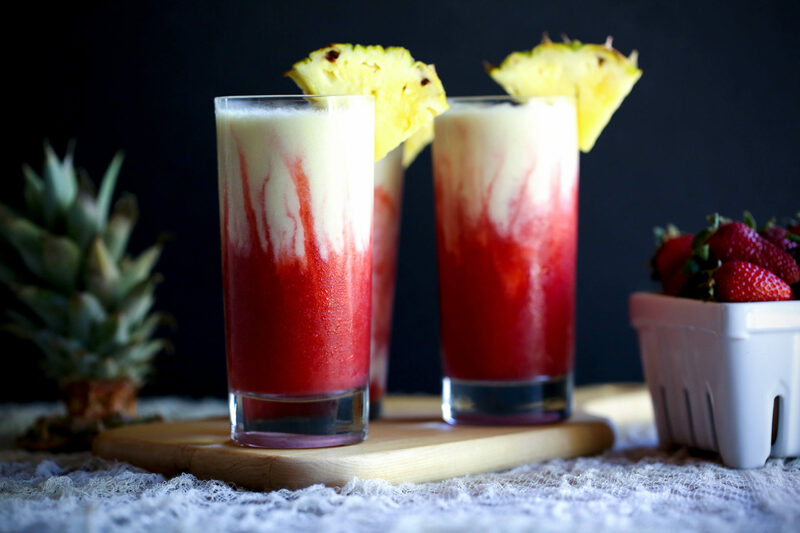 I had fun creating this recipe with my favorite peeps over at Vitacost . They always help make my life a walk in the park by carrying all of my favorite Paleo and Whole30 friendly ingredients to keep my kitchen stocked! They carry tons of organic, gluten-free, dairy-free and non-GMO products, hallelujah! I’m so glad I found them! I make these for my husband’s lunches because he adores them. 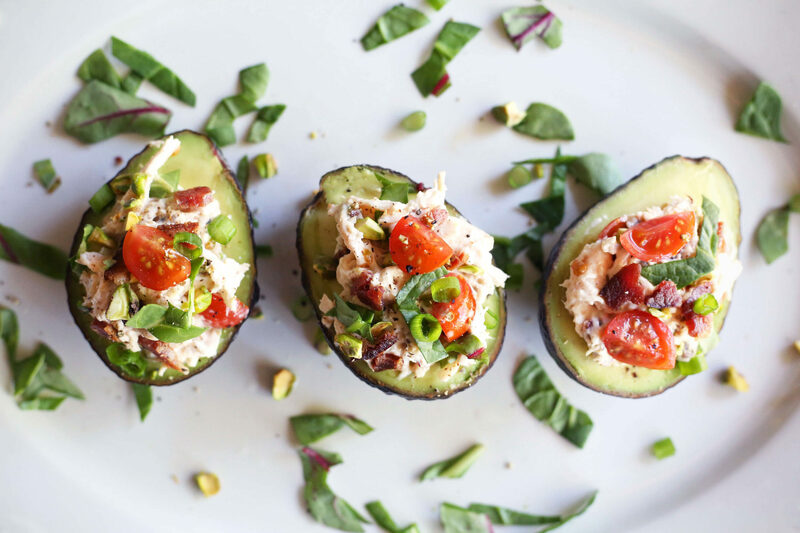 When prepping them ahead of time make sure to squeeze some lemon juice on the tops of the avocados to keep them from browning. 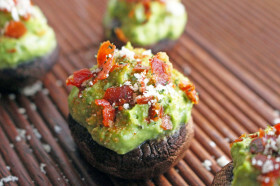 You can FIND THE RECIPE for these cuties over on the Vitacost website! You won’t even miss the bread, I pinky promise you! 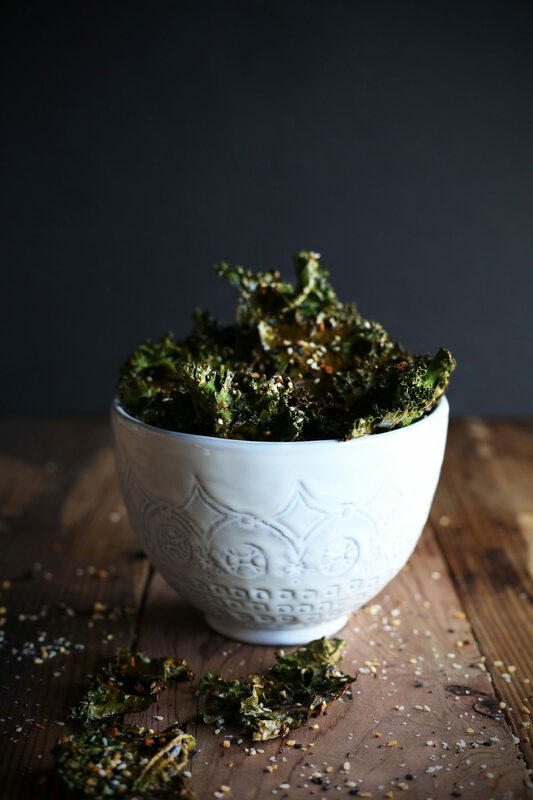 Call me old school, but I still enjoy a good kale chip. The crunch factor is unparalleled, but then you add in my favorite seasoning of 2017 and now also 2018…we’re in business! 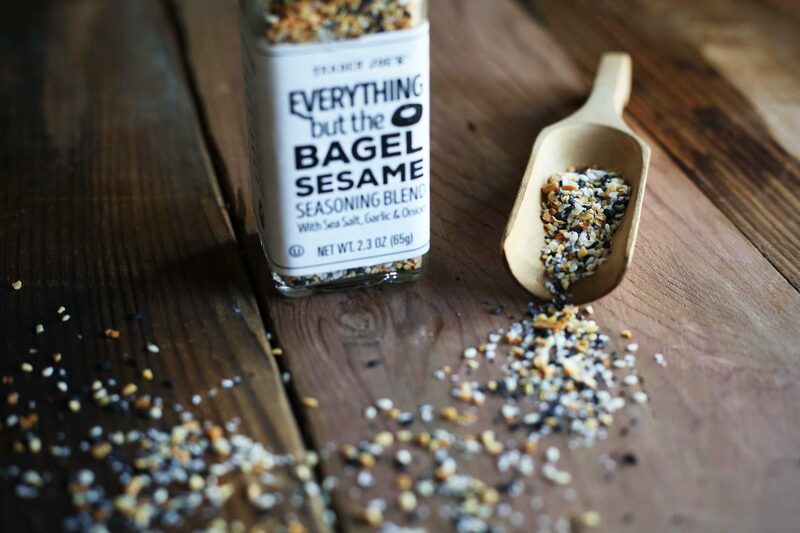 Everything But The Bagel seasoning from Trader Joes is having it’s time in the lime light right now, and for good reason! It’s DANG good! Sprankle that stuff all over the place like glitter, it makes everyone happy! I remember when I worked in a supermarket deli in college, we used kale to dress up the cold case filled with all the macaroni and potato salads lol! This was when Kale was very very un-cool, never in a million years would I have ever thought it was edible, and delicious at that! No one I knew was actually eating the stuff, It’s funny how things change! Now I’m washing kale and dressing it up only to romance it later while watching Netflix ;) It’s a good thing! Don’t forget to remove the stems when you make your chips, otherwise you’re in for a scary surprise and I doubt you’ll ever make kale chips again. Which is sad because they really are MuY DeLiCiOsO!! 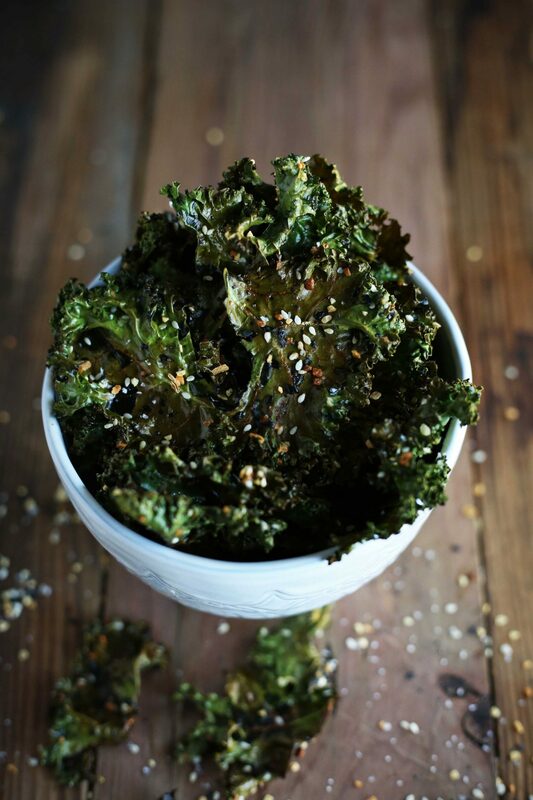 Especially My Everything But The Bagel Kale Chips, they really do steal the show! Don’t forget to double the recipe if you’re making them for more than 3 people, you don’t want any hungry people on your hands! Happy munching and crunching! Preheat oven to 350 degrees and line two baking sheets. 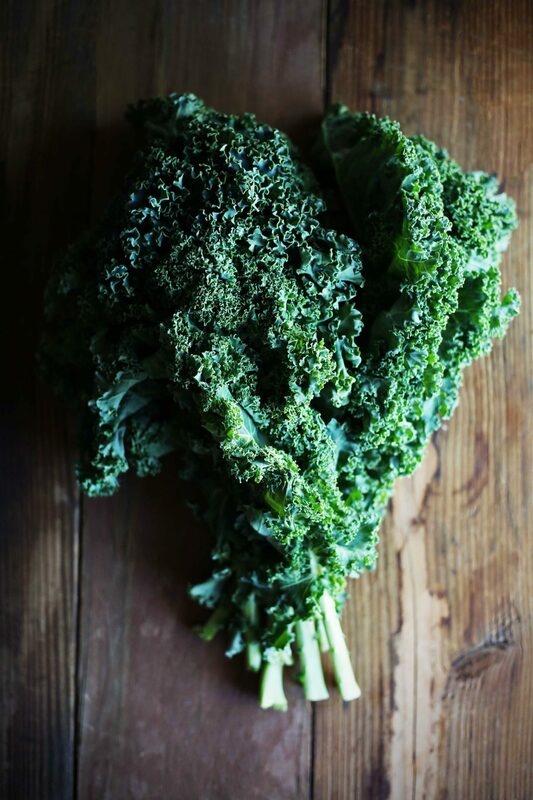 Wash kale, dry with a towel to remove moisture and then remove the stems. Try to break leaves into equal sized pieces. Add to a large bowl and toss with oil, lemon juice and seasoning. 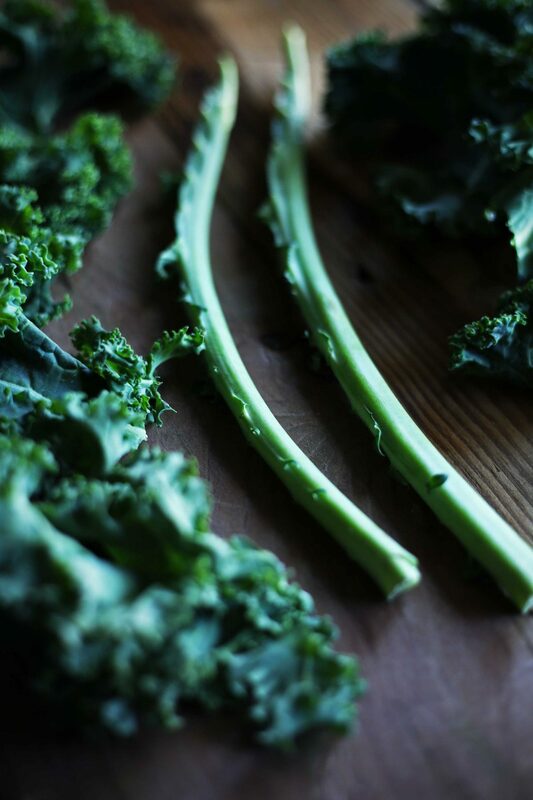 Lay kale leaves in a single layer on both baking sheets, giving enough room for them to crisp up instead of just steaming. Bake for 5 mins, rotate pans and cook for another 10 mins. or until slightly browned. 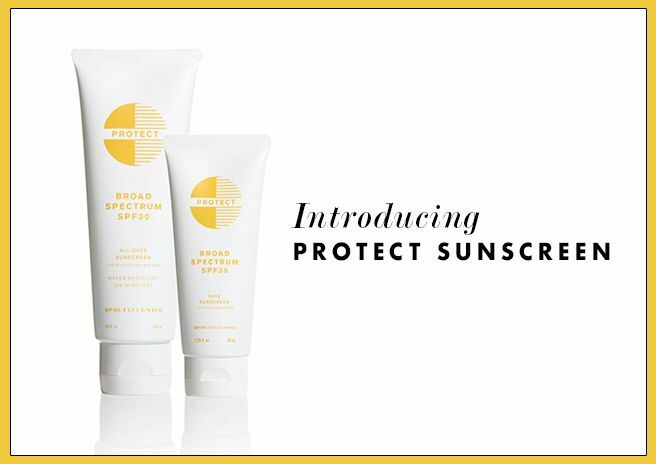 Be sure to keep an eye on them so they don't burn. Remove from the oven to let cool, they will crisp up more as you let them sit for a few minuets. Eat fresh or store in an airtight container for a few days. 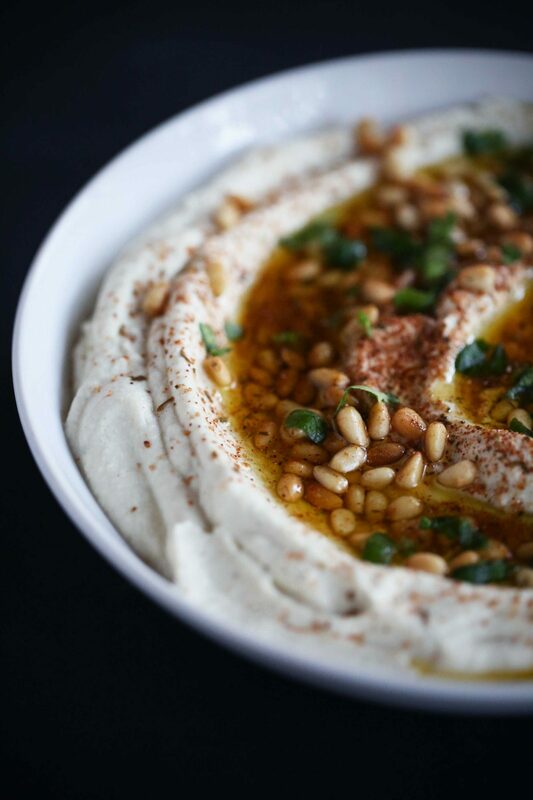 Hummus used to be one of my most favorite things to eat on a daily basis. I would eat that stuff like there was no tomorrow! The first time my father in law served it with a big glug of olive oil, toasted pine nuts and jerk seasoning…man oh man was I hooked on that combo! The creaminess and the crunch made my knees week! So I decided to create this fun paleo and whole30 friendly version of hummus without the beans. It would be fun to serve or bring this to a Super Bowl party! I love adding all the topping to make it look pretty, plus it gives it great flavor! I used Primal Palate’s Jerk seasoning which gives it some pizzaz! Serve it with some fresh veggies and you’ve got a winner! Rinse cauliflower and break into smaller pieces. Place in a steamer and steam until tender, Aprox 10-15 mins. Add steamed cauliflower to a high speed blender along with cloves of garlic, lemon juice, olive oil, tahini, cumin and salt & pepper. Blend until combined and creamy. Add to a bowl and top with desired toppings. I used roasted pine nuts, Primal Palate's Jerk seasoning, fresh herbs and a glug of extra virgin olive oil.